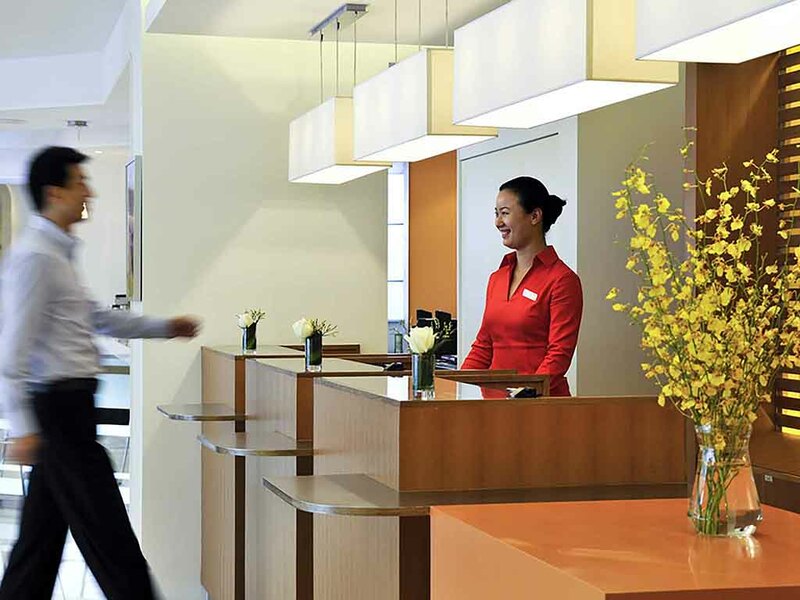 Ibis Qingdao Ningxia is located at the centre of the coastal city of Qingdao, situated a 30 minute taxi ride from the airport and 10 minutes from Qingdao Railway Station and the Qingdao Ferry. Popular places such as Zhonglian Square, RT-Mart and Taidong Business Street are just a short walk away. This innovative new hotel features 175 specially-designed single, twin and family rooms and has a 24-hour bar and restaurant serving drinks, 24-hour reception service, complimentary internet and indoor car park. The Rendez-vous restaurant offers guests a relaxing atmosphere with friendly service. Sample a variety of dishes during the breakfast buffet or simply enjoy gourmet coffee during the day. Snacks are served 24 hours a day. With its bright and inviting atmosphere, the Bar is a great place to wind down and relax with a drink. It serves delicious snacks and beverages 24 hours a day and breakfast between 4am to 12pm. Despite advising late arrival UK to China the booking was cancelled at 9.30pm phone call on evening of arrival. Found alternative at 1am arrival. Got booking reinstated with help of Chinese speaking friend. Refurb staff used guest lift leaving it filthy and smelly and covered in plaster/ Brick dust. No food service available in restaurant. Despite reinstating 5 day by plunging we left after 3 nights inconsistent room service and building noise. Staff gave good directions. Hotel may have become a little shabby, new carpet for a start. This is the WORST Ibis hotel I have ever stayed in! It is no better than the local hotels like Hanting Express, Home Inn or 7 Days, in fact, I think, the local hotels are in better condition than this hotel. Check-in:- Was ok, this is because, I had a Chinese speaking friend with me. The reception staff spoke no English or French. As part of an International chain of hotels, I think, at least one staff should be able to converse in English. House Keeping:- Very minimal was done and I am very sure, the floor was never swept during my four day stay. Plus the floor boards were really outdated and falling apart. Room key:- I had to go to reception every night to validate the room key. And on one occasion, after validating the key, I still could not enter the room. A security happened to pass by and offered to help. Now, I understand why I cannot use my Accor points to book rooms at all Ibis hotels in China, it is because, Ibis in China is but a One or Two Star hotel level. I think this place is too old or dirty to be Ibis. Every things were fine for a moderately priced hotel in China. But No Hot Water was in my shower during my stay. No Wifi in the guest rooms but LAN Cable is available. The hotel staff were very good and helpful. The hotel is not a easy location to find using public transport. i reserved 5 rooms for members. Althorugh considering low room rate, some rooms have bad smell. about request of chaning room, their answer is just "no vacant room" but new guests are checking in continuously. Good location on Ning Xia, near to Nanking Shopping and commercial area. Nrxt to bus terminus, especially Bus 26 which brings commuters to major tourist sites such as May 4 Square, Westin and Shangrila Hotels area, the railway station. DISSAPPOINTED ! HOTEL SERVICE WAS NOT UPTO THE MARK !! Ibis Qingdao was my 3rd stop in China prior to my stay at Novotel Atlantis, Shanghai & Sofitel, Chengdu both these hotels were great and up to the Accor Group mark in terms of quality and service. That was the reason for me to stay at Ibis Qingdao although it was a 3 star hotel I assumed being part of the Accor Group I was certain that it would be good. I was gravely mistaken ! The Air conditioning in the my room didn't work and when I requested for a change in room, I was told that they couldn't do ! I had to spend the hotel night sleeping in a room without AC and it goes without saying that my next day was ruined as I couldn't sleep all night... I've been an Accor Group member for past 2 years and stayed at various properties all over India & China but sadly Ibis Qingdao is the only hotel I wouldn't be returning to ever!!! No internet in rooms, those days in Qingdao was very cold and heating in hotel was very low. Breakfast was very poor for Ibis hotel comparing to Ibis hotel in Beijing. Somebody from staff will have to learn English.